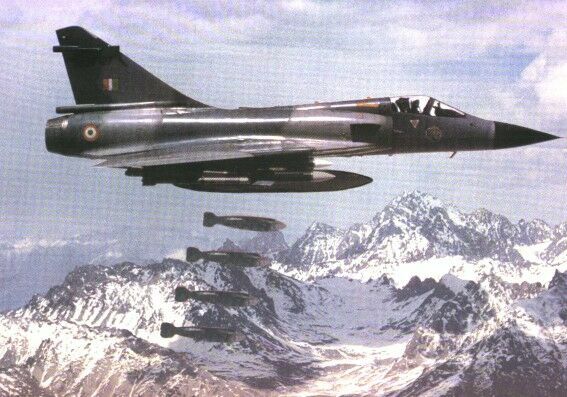 Left : An IAF Mirage-2000H is seen droping unguided bombs during training. It is also armed with 2 Matra Super 530Ds, 2 training Magic-II AAMs plus one centerline droptank. The type proved invaluable during the border war. 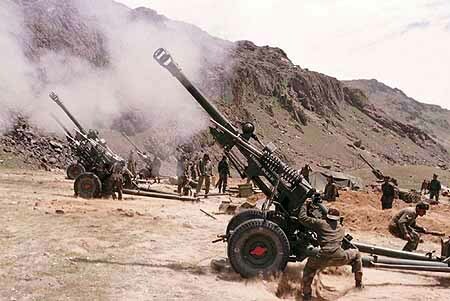 Center : Gunners of the Indian Army attacked Pakistani positions with fierce retaliation. Right : An IAF Mi-17 fires unguided rockets during Kargil. 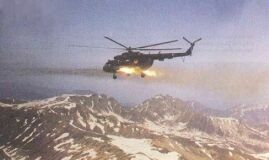 Initially IAF employed Mi-17s in attack role, but one was lost with 4 crew to a MANPADs.